OpenSim users overwhelmingly said that they would “absolutely” recommend the platform to others. Out of 114 people who responded to our survey this week and answered this question, 84 percent said they would “absolutely recommend” it, with only 1 percent saying they would “absolutely not recommend” the platform. Of the rest, 3 percent said they would hesitate to recommend it, 3 percent said they don’t know, 3 percent said they would only recommend InWorldz, 3 percent said they would only recommend it to experienced users, and 2 percent said they would recommend that people wait for the technology to improve. “If you are aware OpenSim is alpha software, I recommend it,” wrote in one OpenSim user. 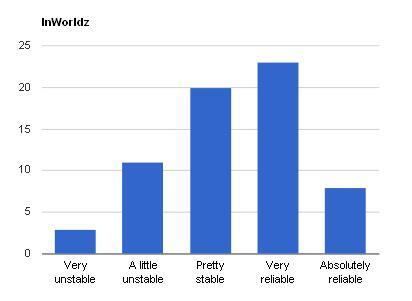 By far the largest group of respondents were people who rent land on the InWorldz grid, a sign of that company’s ability to mobilize its customers base — and the level of enthusiasm of those customers. This positive response is in line with other data, showing that InWorldz has been gaining a lot of new land owners and new users in recent months. 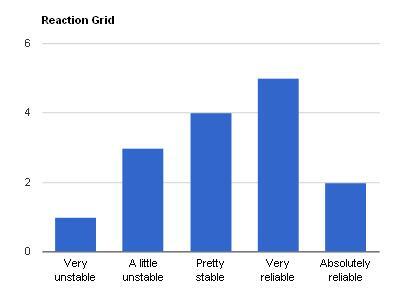 The grid managers promoted the survey to their customer base on Twitter and on the grid’s forum pages. It’s a risky move for a company to actively urge their customers to take a third-party survey, since there’s no way to bury the results if they don’t turn out well. 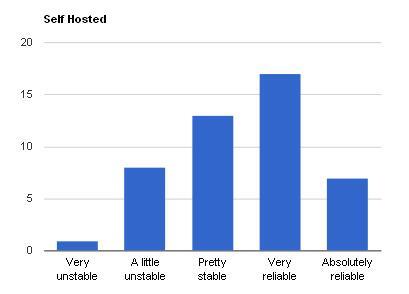 The response rates from other hosting providers were more positive, but the number of responses was too small to draw firm conclusions. 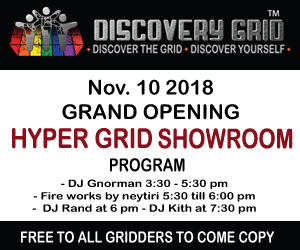 After InWorldz renters, the next largest group of respondents were those who owned their own grids, with 46 people saying that they were running OpenSim on their own servers, with some specifying that they were using the Diva Distro. 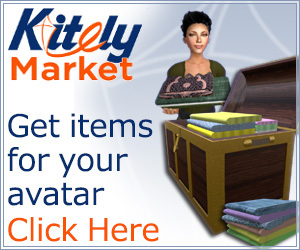 Overall, OpenSim users were very happy with the prices they were paying for their hosting. Of the 103 respondents who answered this question, more than 55 percent said that OpenSim hosting was “a bargain.” Only 4 percent said it was overpriced, and 41 percent said that the prices were reasonable for the services provided. 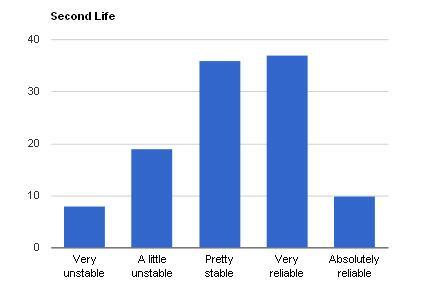 For comparison purposes, we also asked our readers about their Second Life experience. These numbers do not necessarily reflect Second Life users as a whole, since people and organizations who had problems with Second Life would be more likely to explore OpenSim alternatives. The single most wanted OpenSim feature for Hypergrid Business readers was vehicle physics, with 48 percent of respondents saying that they missed this feature. This was followed by an online marketplace, search, a wider selection of content and voice. Respondents also wanted to see hypergrid-enabled friends, instant messaging and landmarks. Users were also interested in shared media, mesh, more community, more stability, groups, and better support. Some of these features — including shared media and mesh — are already available on some grids and with some viewers. Individual respondents also wrote in wish list items, including the ability to ban people from sims, the ability to add notes to profiles, advanced scripting calls, the ability to attach notes to group notices, and user profiles. So what brings people to OpenSim? Low prices and megaprims tied for first place when it comes to the most selected favorite features of the platform. 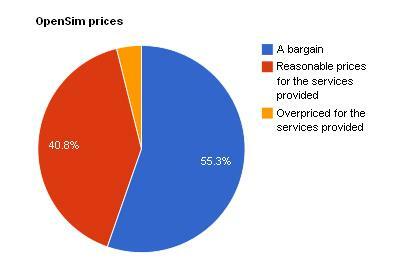 Low prices and megaprims were selected by 65 percent of the respondents. The numbers add up to more than 100 percent because people could check multiple features. High prim limits were close behind, with 62 percent. 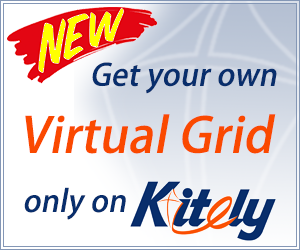 Region backups, having your own grid, inventory backups, the open source nature of the OpenSim software, hypergrid, megaregions, security and privacy were also attractive to our readers.